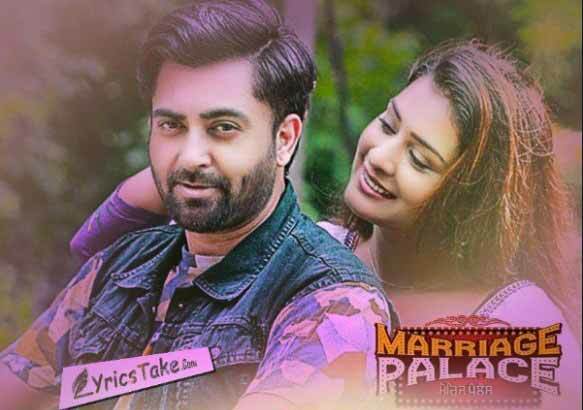 Nimma (Sharry Mann) son of Mr. Brar (Jaswinder Bhalla) who likes a girl Maani (Payal Rajput) and makes her agree for marrying him and both the families agreed to their marriage with a term of Nimma’s father to arrange this marriage in a Marriage Palace. On the same day there are two marriages (Haryby Sangha and Sharry Mann) in the same marriage palace and due to a hassle their wives got exchanged and hassle start for Nimma to get it fixed. How he solves the problem is the basic theme of the movie. Screenplay is simple and flows in a smooth way but this screenplay is unable to give you a feel of film instead it feels like a stage show. Marriage Palace is full of humour but fails to impress the urban audience. Sharry Mann is just normal with his acting and looks while Payal Rajput looks very beautiful and fine with her acting whether she doesn’t have much scope to push the film. Jaswinder Bhalla and B.N Sharma are as entertaining as they normally remain in all of their films. Harby Sangha and Nirmal Rishi are good with their jobs and Sumit Gulati is equally entertaining. Dialogues: Dialogues are very funny and make you laugh in the loop. Sunil Thakur’s direction is weak which doesn’t give you a feel of a movie instead it makes you feel of a stage show. Marriage Palace is okay to watch once but remember this is just for laughter and nothing much. The film lacks in technicalities like screenplay, direction, production designing etc.